QUESTION: Do you run your model on the VIX and can you run your volatility you illustrated at the Princeton Seminar on volatility? ANSWER: Yes. It does not matter. Strangely enough if you create a index of stocks that only closed higher on Tuesday, it amazingly conforms to the 8.6 cycle, technical analysis, and volatility in its various flavors as we demonstrated at the conference. So yes, we run our volatility on the VIX as well. The decline in volatility in general since the spike high in 2008 will turn by January 2014. This means that we will begin a upward cycle in general volatility as measured by the VIX. 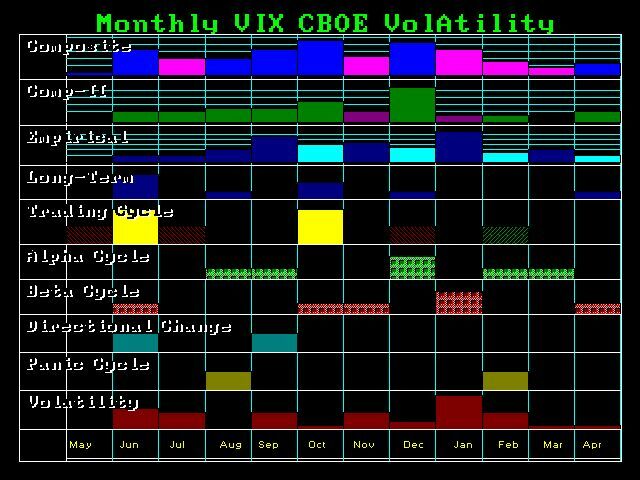 Indeed, look at the VIX on the CBOE. 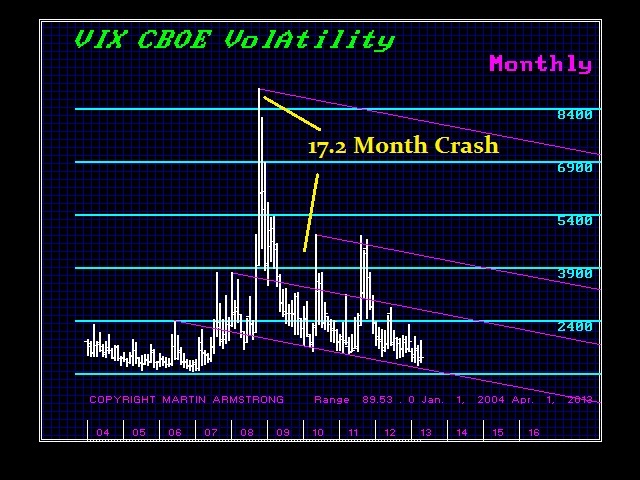 The crash in volatility conformed perfectly with the 8.6 frequency bottoming precisely in 17.2 months (2 x 8.6).